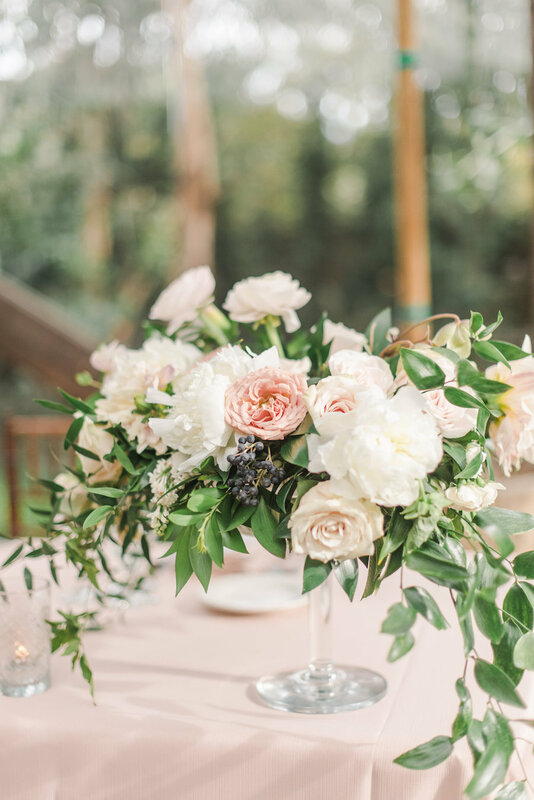 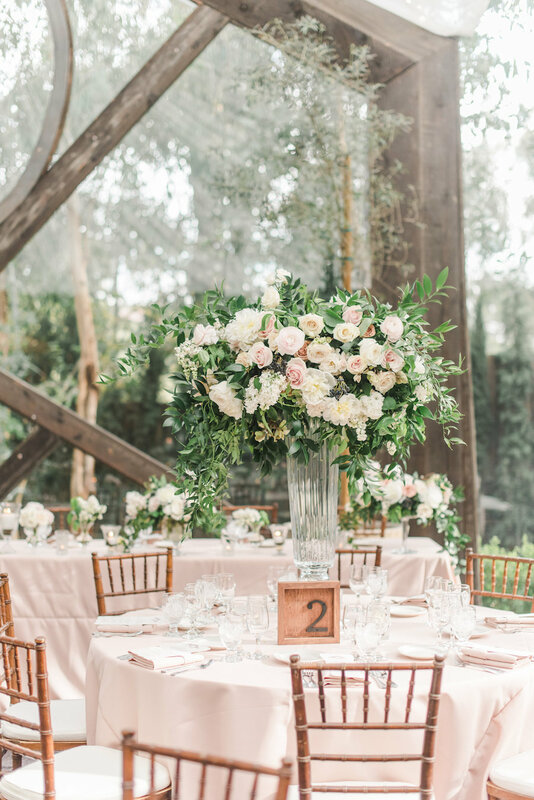 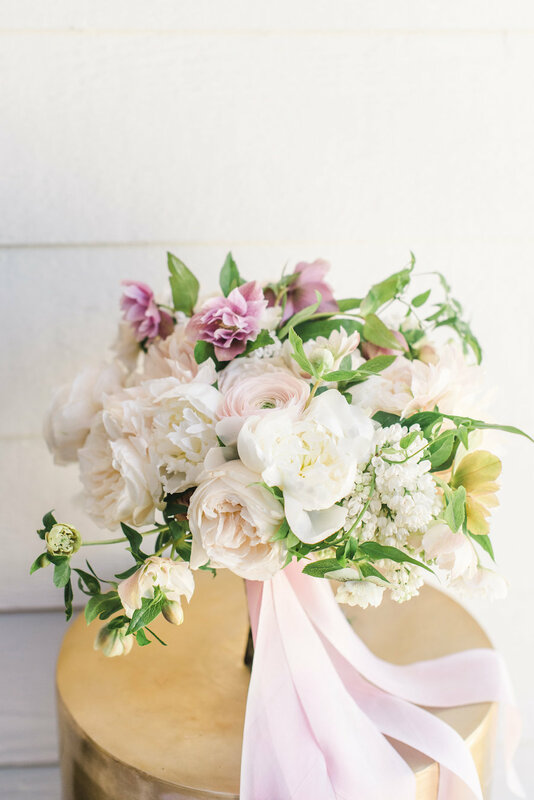 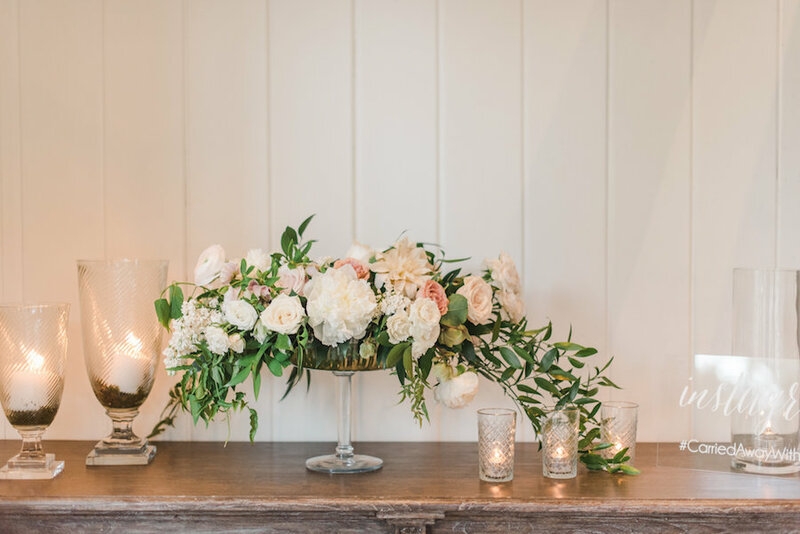 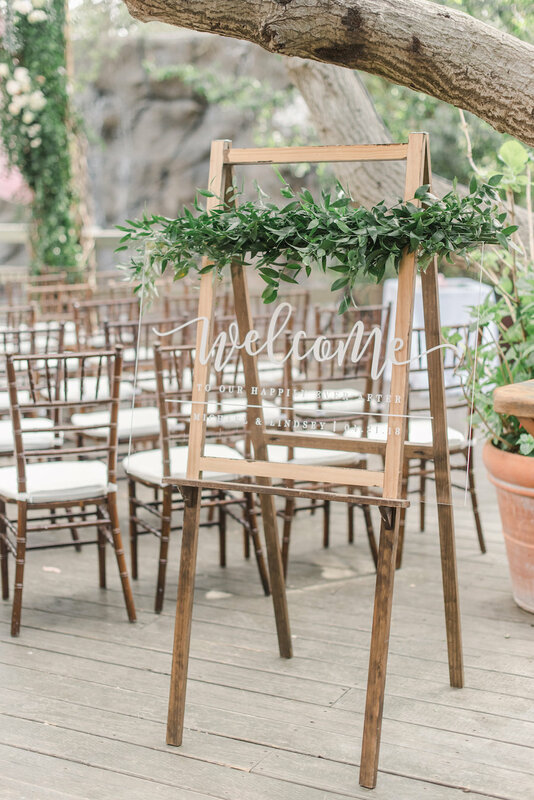 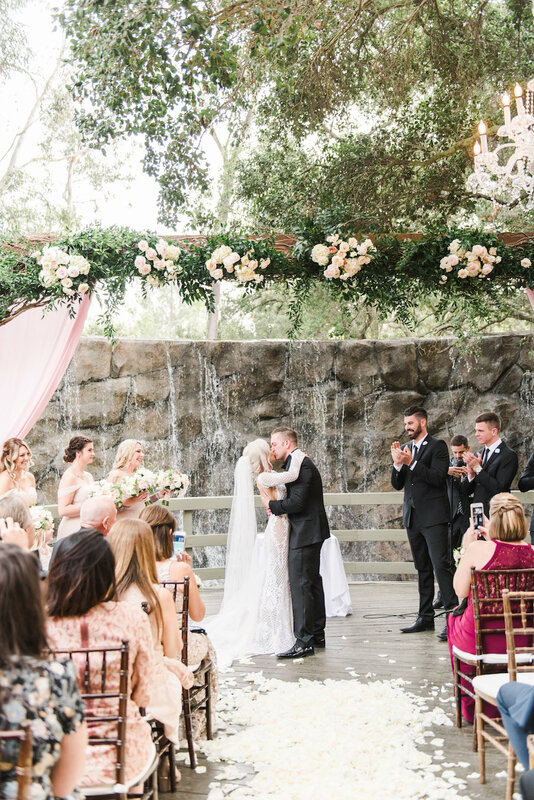 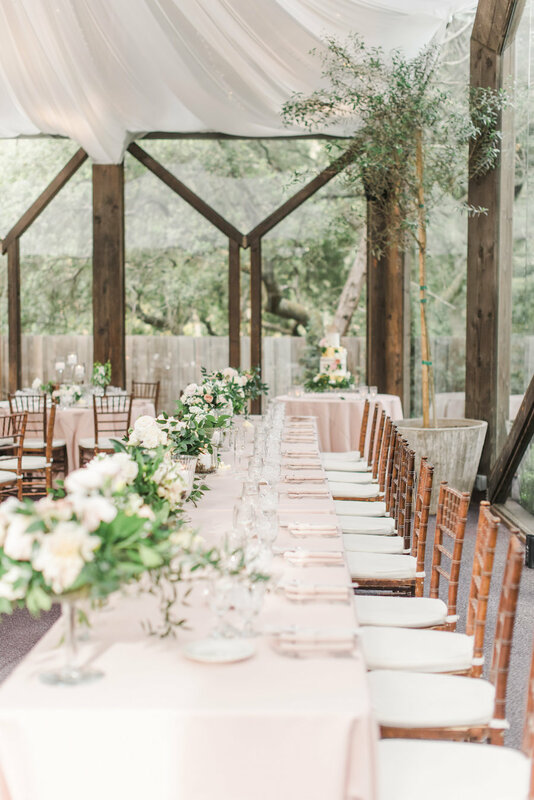 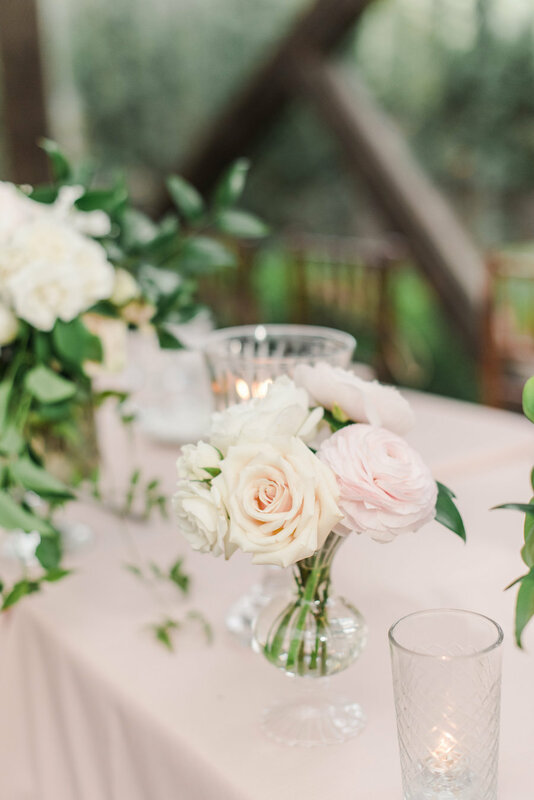 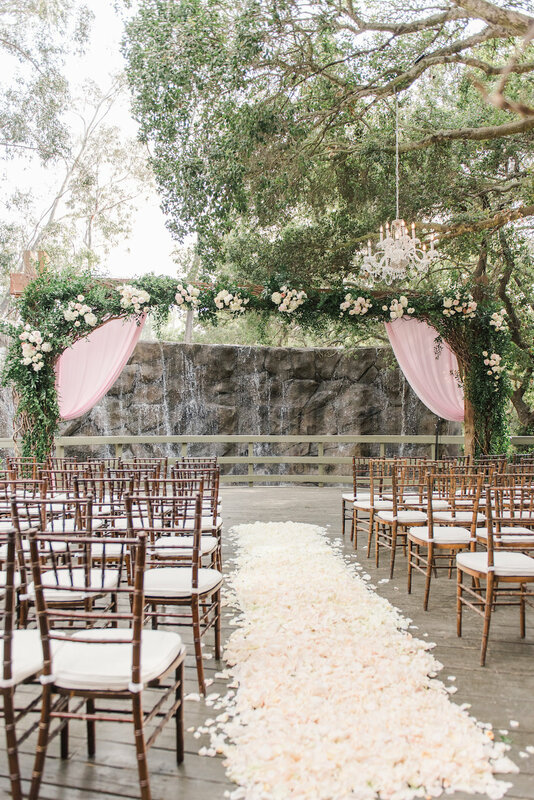 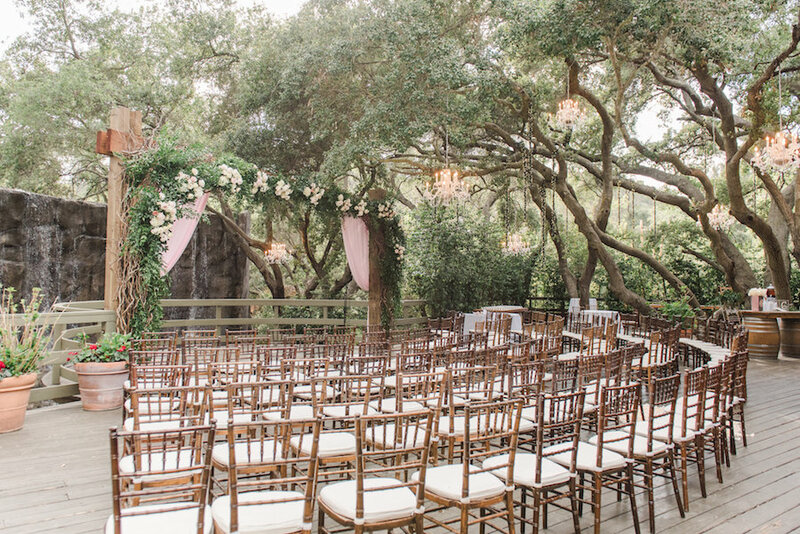 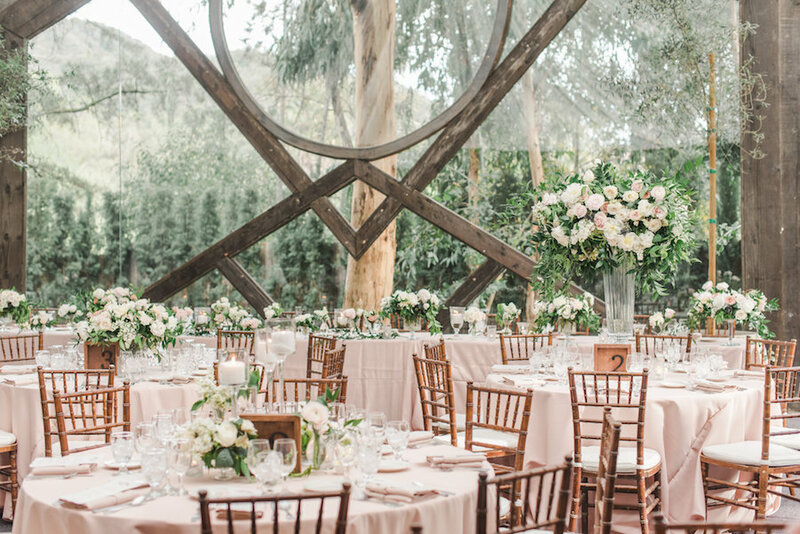 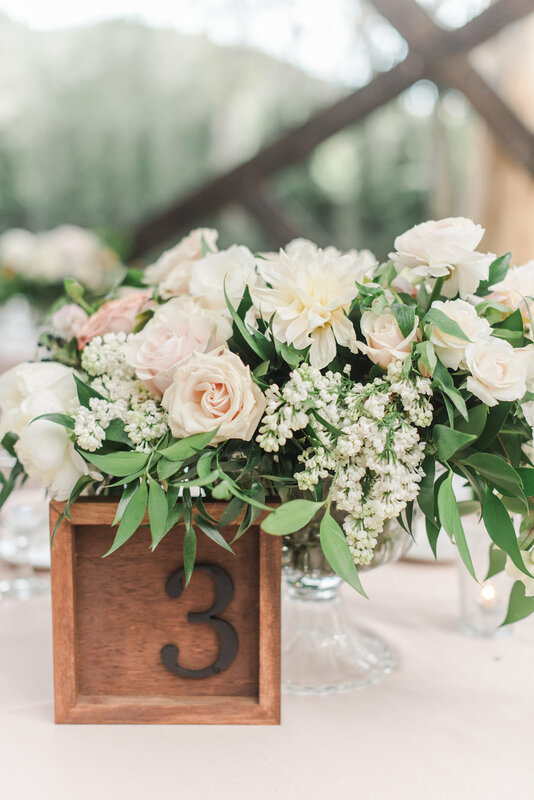 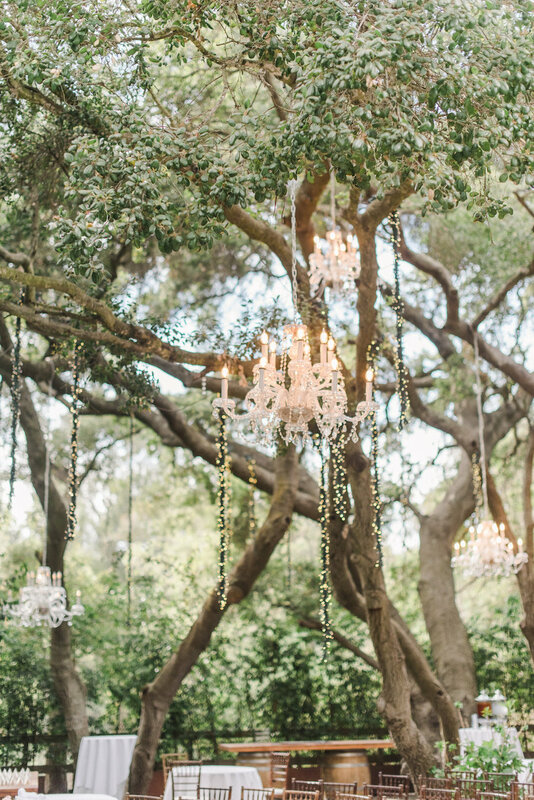 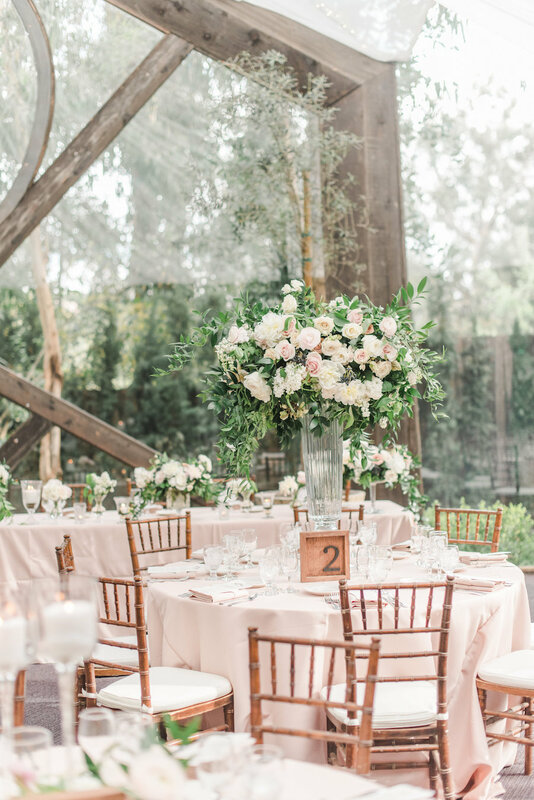 This amazing white and blush wedding at Malibu’s picture-perfect Calamigos Ranch is too good to be true! 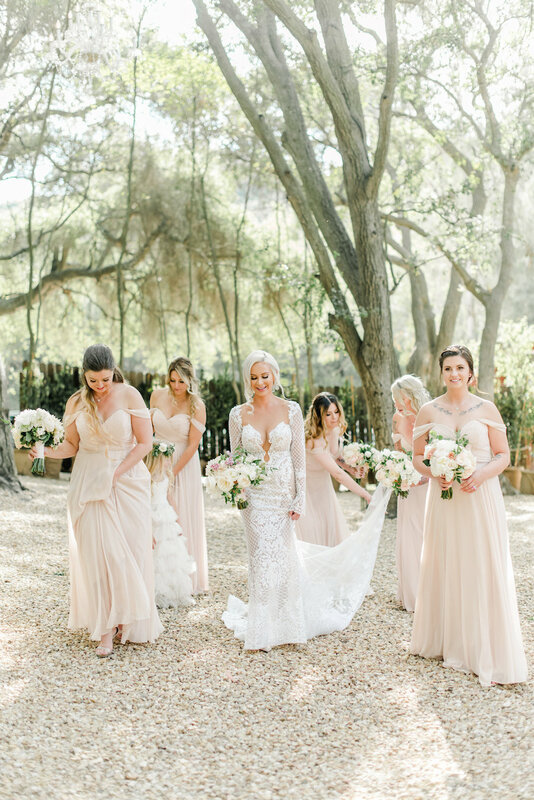 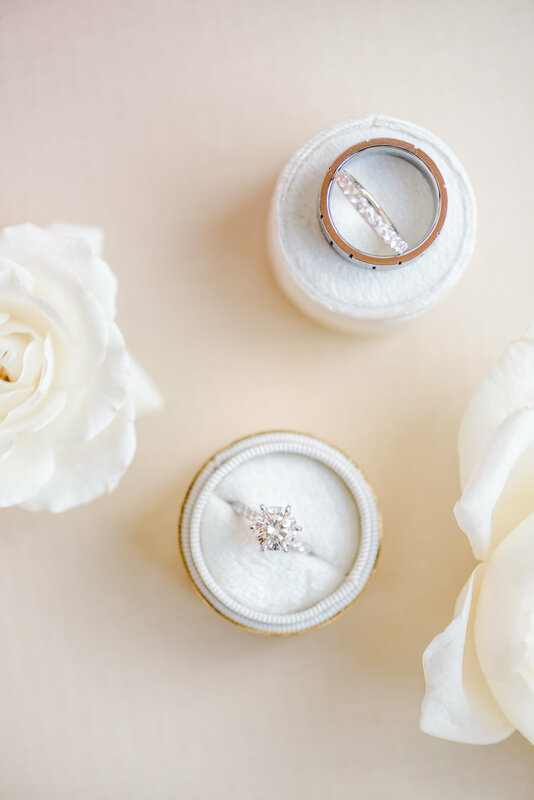 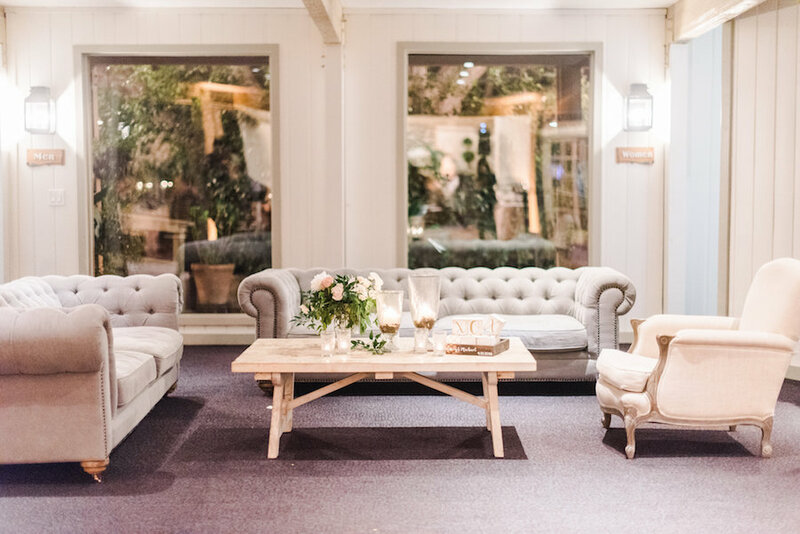 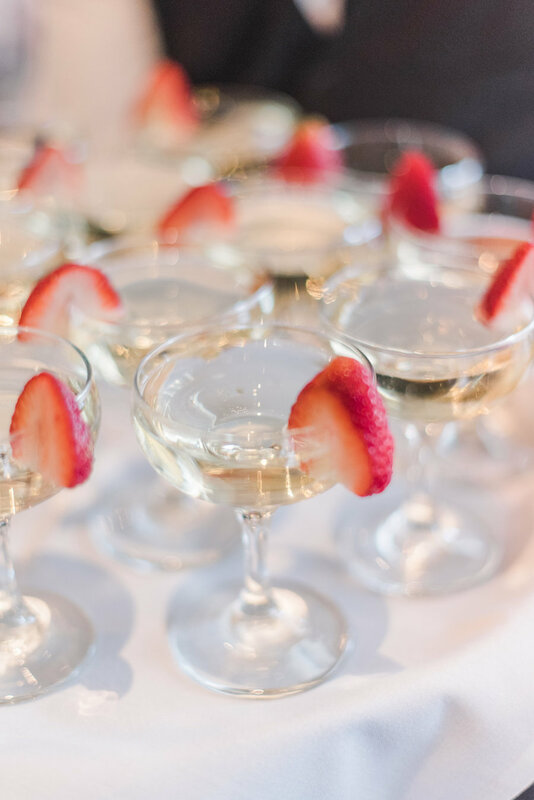 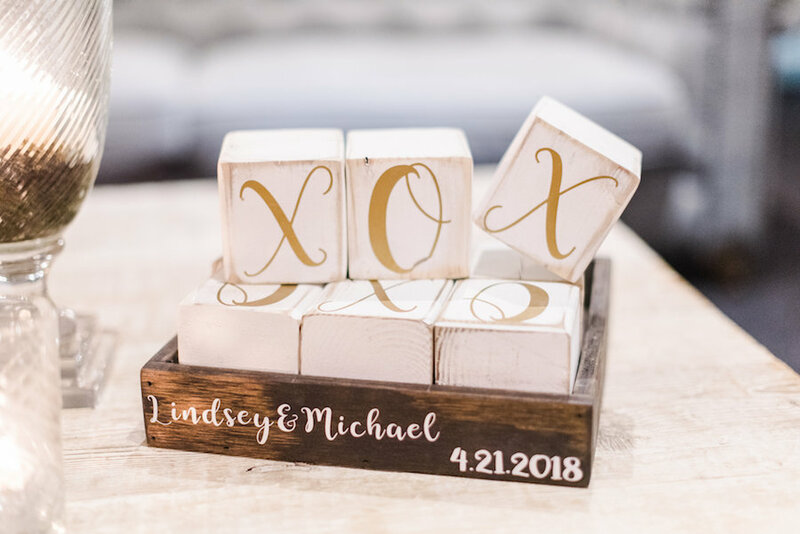 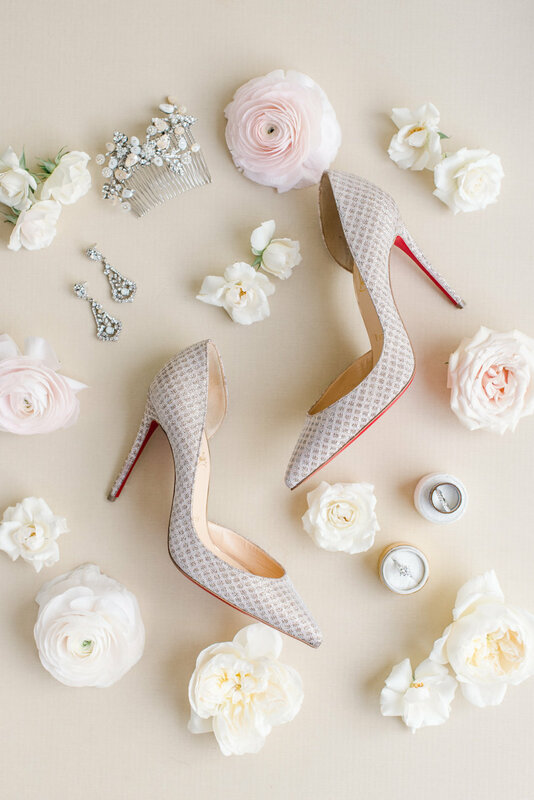 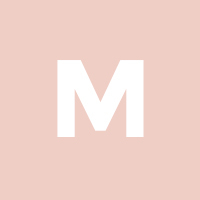 A Good Affair planned and designed this special day with a soft and romantic color palette, yet there are certain details that have us completely captivated, starting with the bridal party. 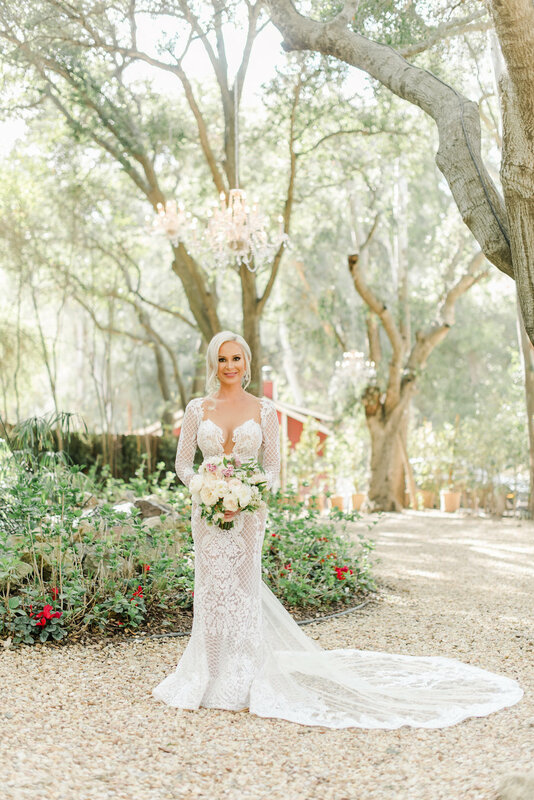 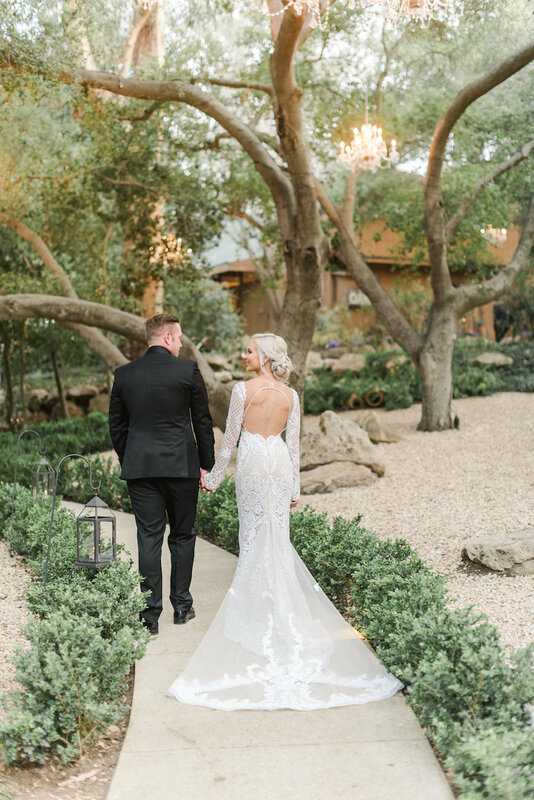 Out first moment of true love comes from the bride in her form-fitting long-sleeve Berta gown, with a plunging neckline, open back and intricate embroidery — what a stunner! 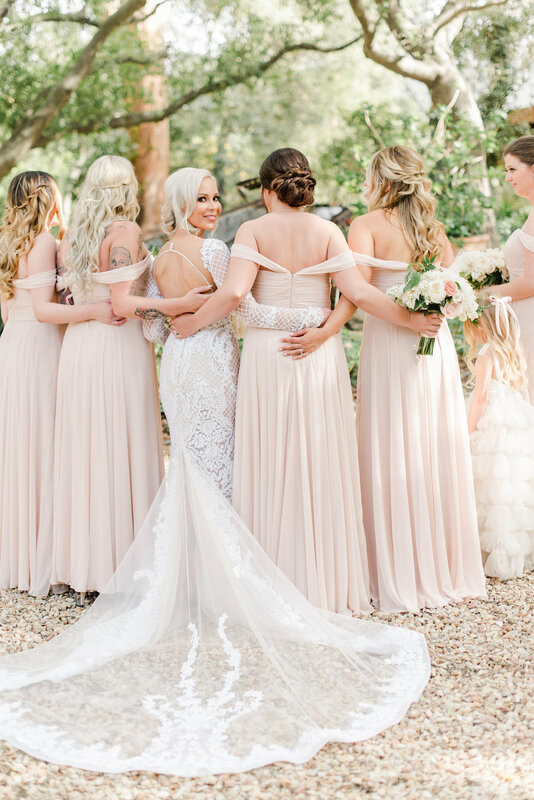 Her bridesmaids complement her sultry look with lovely blush draped over-the-shoulder dresses from The Dessy Group. 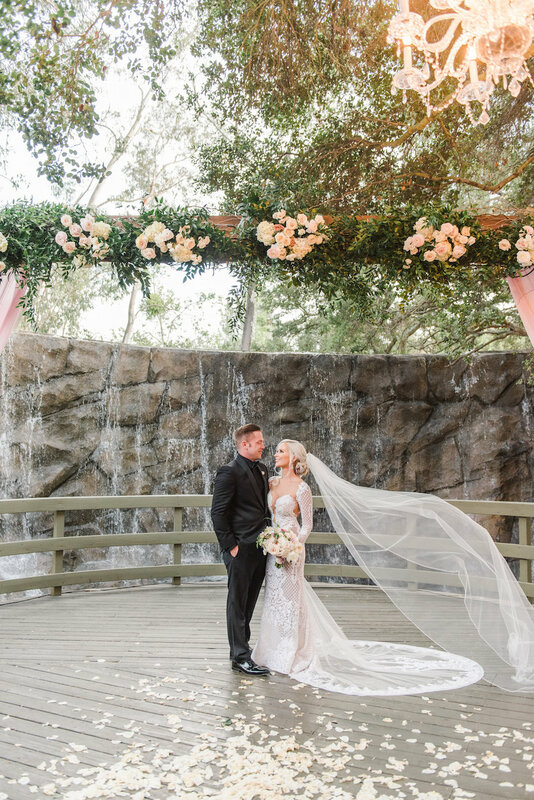 This California venue provides out-of-this-world beautiful scenery for bride and groom portraits, including a scenic stone waterfall area that serves as the backdrop for the romantic wedding ceremony. 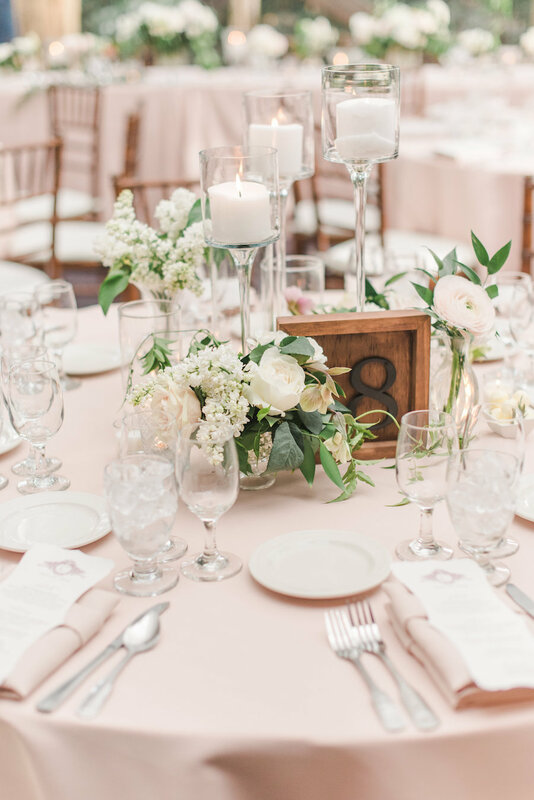 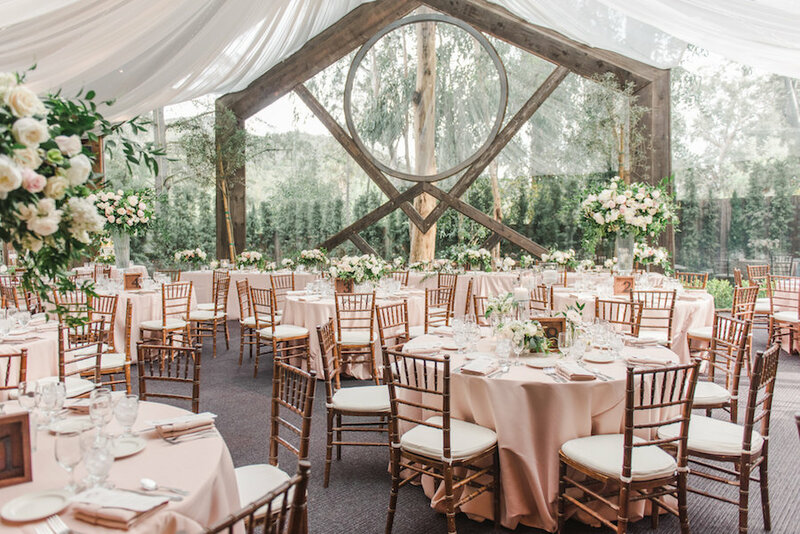 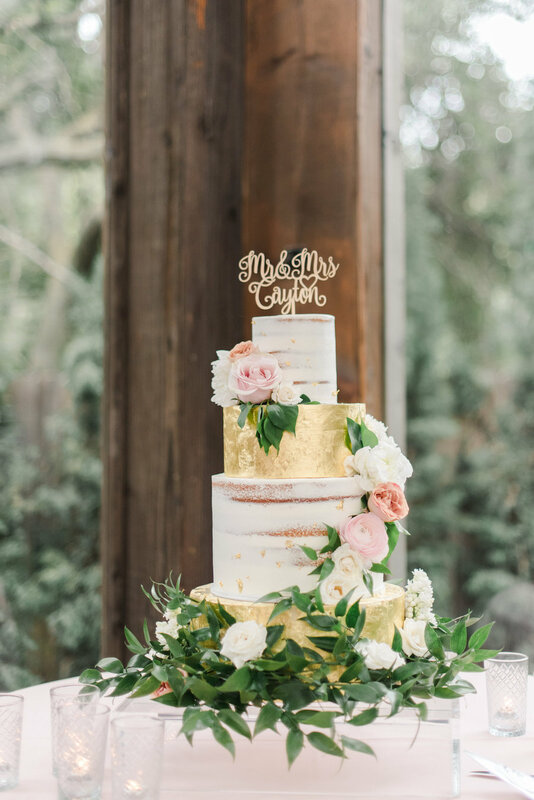 The reception was as classic as can be, with blush linens, greenery and floral centerpieces, rustic wooden decor items and more. 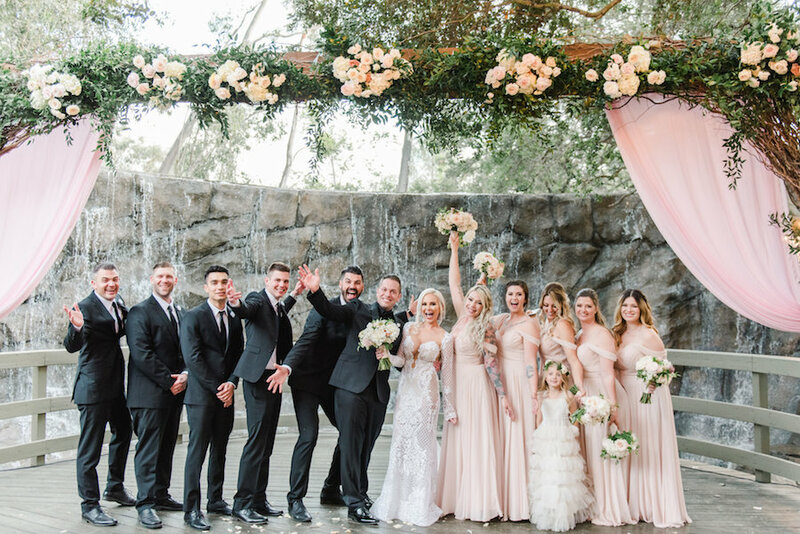 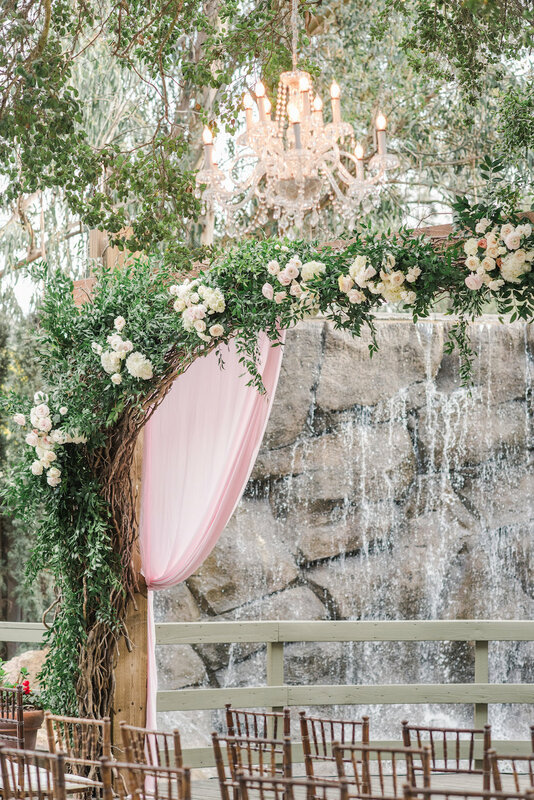 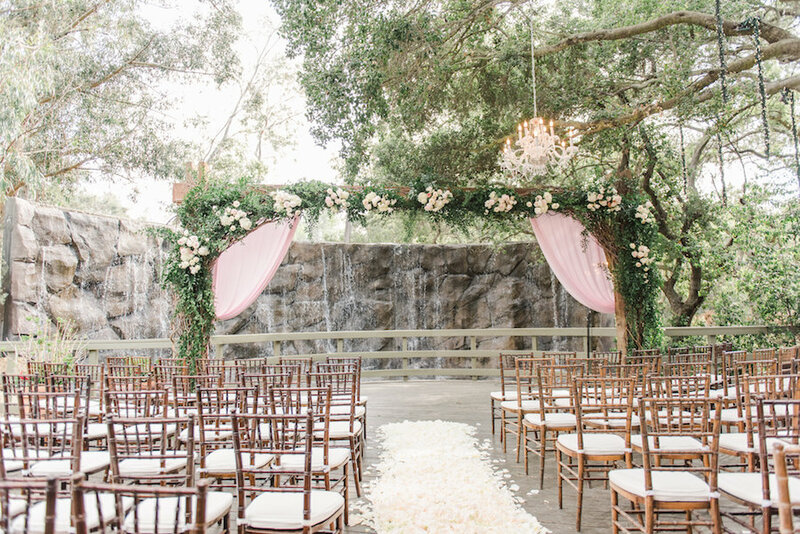 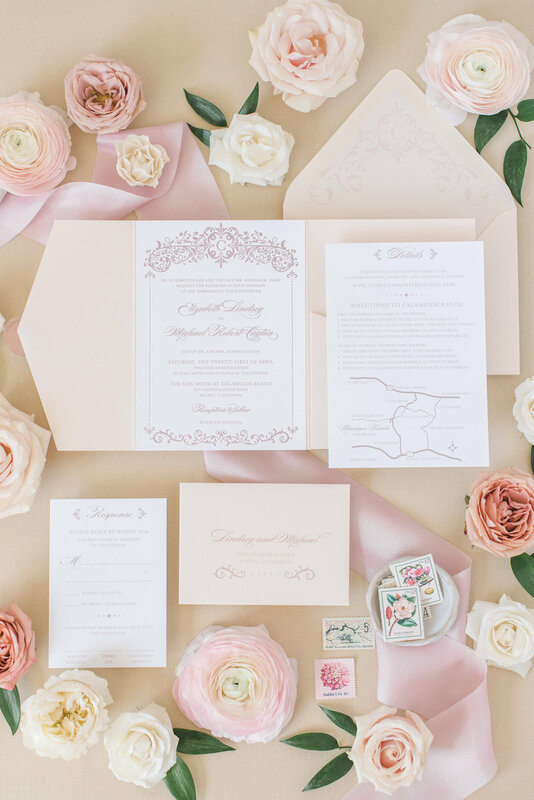 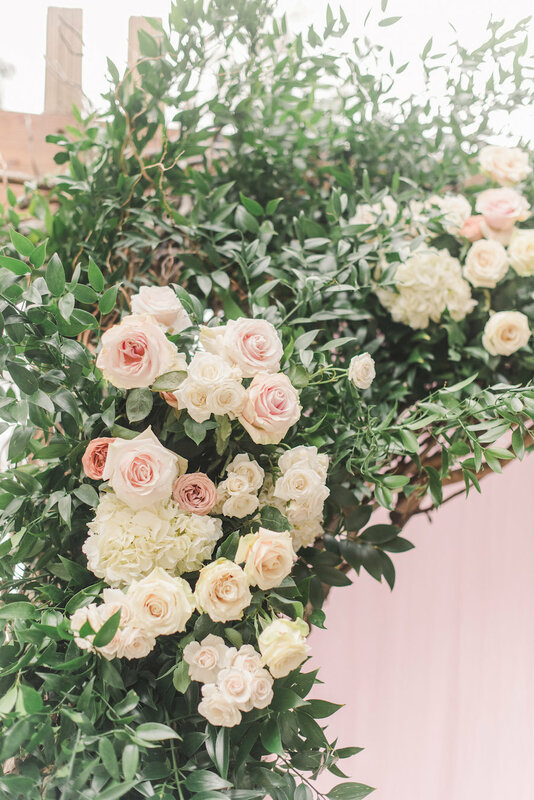 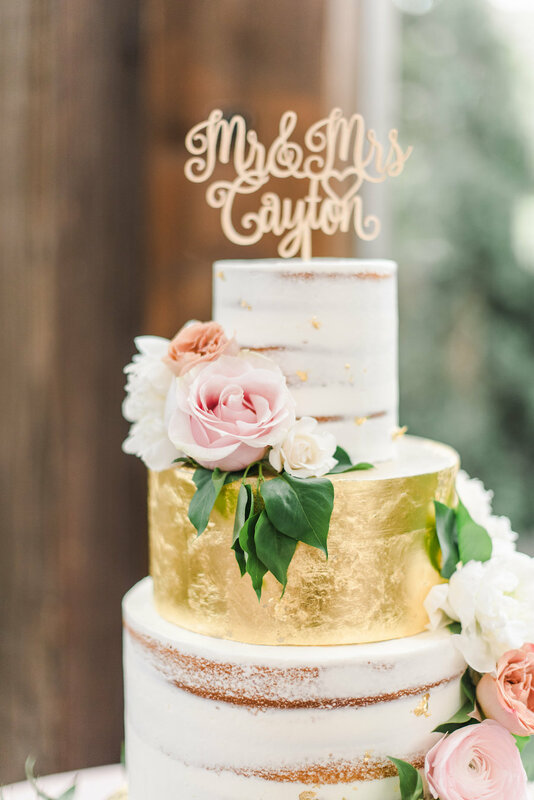 See the stunning images of this inspiration blush wedding, captured by Sanaz Photography.